The Honeywell 5898 is a wireless, K-Band, DUAL TEC motion sensor provides superior detection and reduces the risk of false alarms. The 5898 motion sensor is intended for use only with Honeywell control panels that support Honeywell 5800-Series devices. The combination of PIR and K-Band microwave technologies enable the sensors to distinguish between real intruders and other environmental conditions by "confirming" each other within a defined area of protection. The sleek, compact design makes it ideal for applications where aesthetics and discretion are critical. PIR sensitivity and temperature sensing can be enabled via local programming or from the central station. Installation is easy, with no jumpers, switches or disassembly, fewer mounting restrictions and an automatic walk test mode that turns on the LED for ten minutes saving installers one trip up the ladder for each sensor. The 5898 blends perfectly with Honeywell's 5800-Series family of sensors to create a seamless look in any residential or commercial environment. The DualCore signal processing analyzes PIR and microwave signals through the 5898 microcontroller. DualCore processing supports a multitude of advanced functions, including concurrent diagnostics, digital fluorescent light interference filter, adaptive baselines and bidirectional temperature compensation. K-Band microwave technology delivers sharp detection without holes or weak spots. The custom-made source offers pattern shaping to fill the protected area with a broad, balloon-shape that matches the PIR pattern. It also offers pattern containment to reduce the penetration of microwave energy through walls. 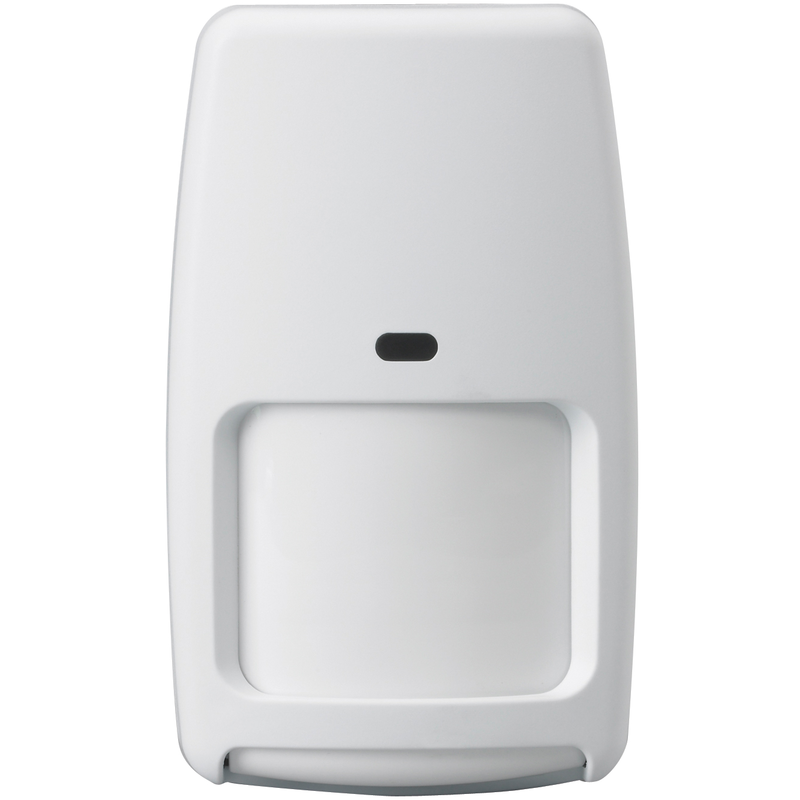 This 5898 dual-tec, 5800-Series motion detector provides 50lbs. to 100lbs. pet immunity on Loop 1; changeable by dip switch. It also offers a second loop number (with no pet immunity) for higher sensitivity making it easy to change the sensitivity via programming (including remotely, via Compass). It allows walk testing the loop sensitivity with a flashlight removing the hassle of opening the cover to make jumper or dip switch changes. Also offers Low or High (selectable) temperature sensing via Loop 3. This transmitter operates on a 7-digit serial number and a loop number that must be programmed into a wireless zone in the control. When it senses a fault condition, it will send a fault signal to the control. Since it does not have a physical contact that restores, it automatically sends a restore signal shortly after the fault signal.